At the market we feature locally grown and prepared foods, homemade goods and a family friendly environment. 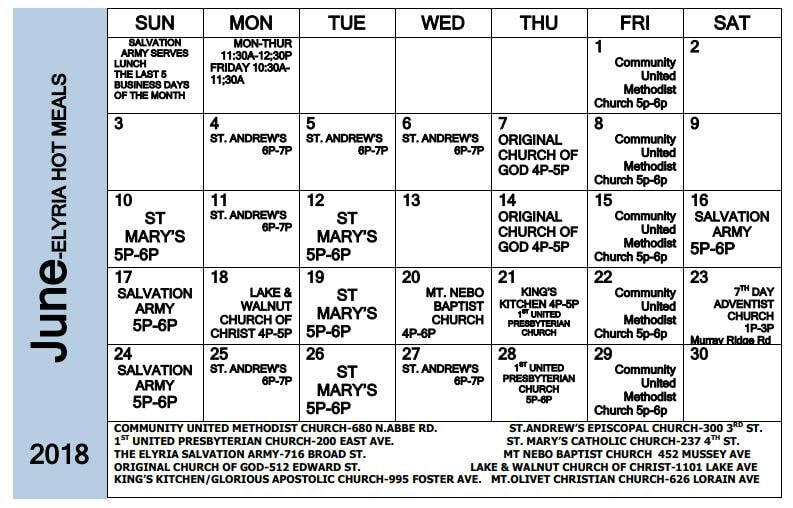 Click here to see the variety of items the vendors have to offer and special events for each week. *Weekly Vendors: must bring their own canopy, tables, chairs etc. ; Seasonal Vendors(under the big tent): Tables and chairs etc. 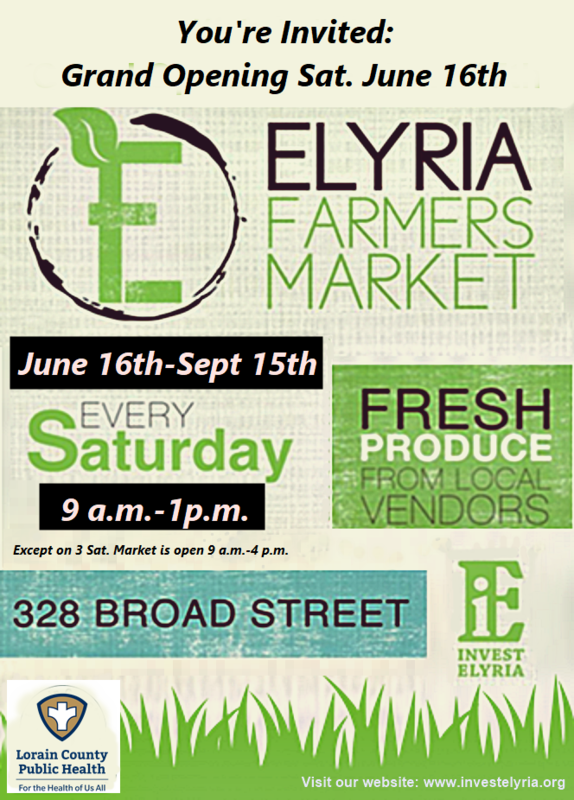 We are once again excited to start a new season at the Elyria Farmers Market. Our hours this year: 9 a.m.- 1 p.m. except on select Saturdays-Opening Day, Kid's Day, and Auto Show or Bike Day we'll be open 9 a.m. - 4 p.m.
6/16/2018 Opening Day; 9 a.m.- 4 p.m.
6/23/2018 Direct Sales; 9 a.m.-1 p.m.
6/30/2018 Art Show; 9 a.m.-1 p.m.
7/7/2018 Small Business; 9 a.m.-1 p.m.
7/14/2018 Craft Show; 9 a.m.-1 p.m.
7/21/2018 Pet Adoption(Multiple Breed Rescue) 9 a.m.-1 p.m.
7/28/2018 Food Event; 9 a.m.-1 p.m.
8/4/2018 Kid's Day; 9 a.m.- 4 p.m.
8/11/2018 Direct Sales; 9 a.m.-1 p.m.
8/18/2018 Auto Show ; 9 a.m.- 4 p.m.
8/25/2018 Small Business; 9 a.m.-1 p.m.
9/1/2018 Art Show; 9 a.m.-1 p.m.
9/8/2018 Craft Show; 9 a.m.-1 p.m.
9/15/2018 Harvest Day; 9 a.m.-1 p.m. 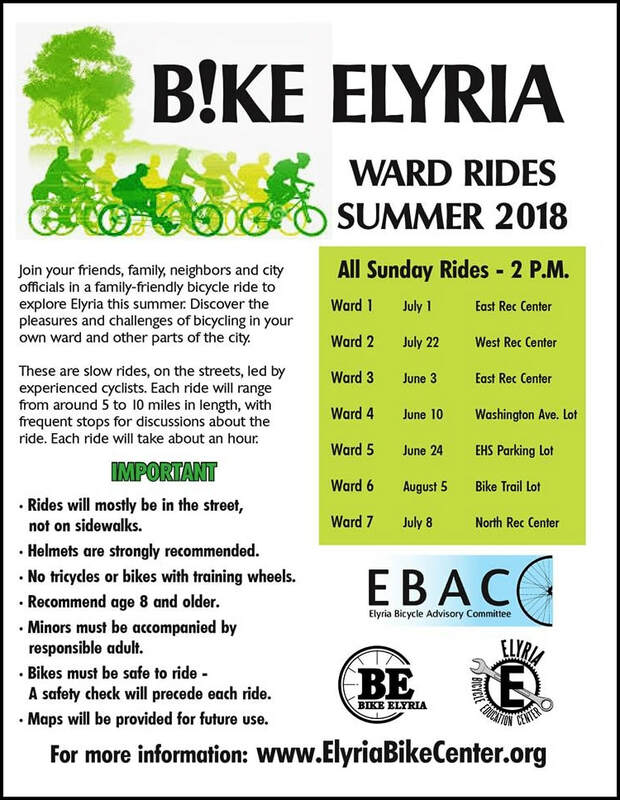 Please note schedule is tentative and weather permitting. Spread the word and shop local! !